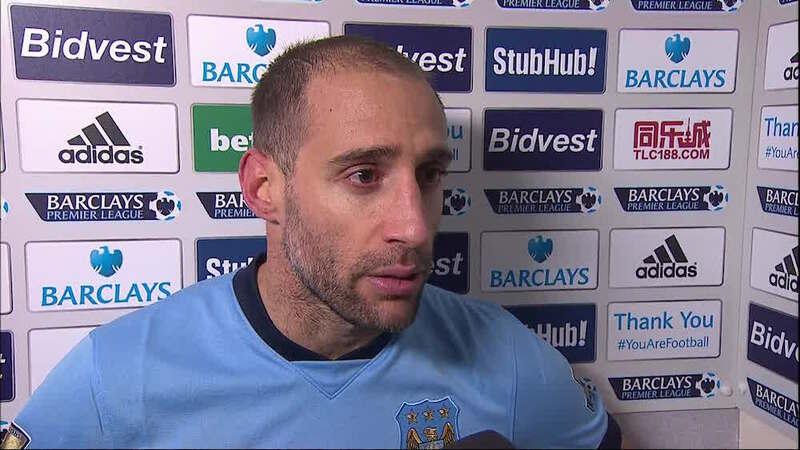 Manchester City captain Pablo Zabaleta insists Celtic are not as bad as their 7-0 thrashing to Barcelona suggests. The English outfit take on Brendan Rodgers’ side at Parkhead in their next Champions League Group C match on September 28 and will attempt to collect a second successive win following Wednesday’s 4-0 defeat of German outfit Borussia Monchengladbach. But Argentinian international defender Zabaleta is no paying no attention to the manner of the Hoops’ Nou Camp capitulation, and insists a trip to a 60,000-capacity Celtic Park is a daunting prospect for any side. He said: “Next up are Celtic and we are paying no attention to their loss at Barcelona, which we know is a difficult place to go and play. “People have said they are the weakest team in the group but I don’t agree. “They may have had a bad day at the Nou Camp but they are strong in their own stadium and we’re expecting every game to be difficult. City finally got their campaign off to a winning start against the Germans 24 hours later than scheduled after heavy rain led to Tuesday’s match being postponed. Zabaleta’s fellow countryman Sergio Aguero notched a hat-trick, while Kelechi Iheanacho added a late fourth. Speaking to BT Sport, Zabaleta, who has been wearing the captain’s armband in Vincent Kompany’s absence, added: “We played really well and created a lot of chances so we’re very pleased with the performance and that we’ve won the first game. “It’s going to be very tough and we’re in a tough group so this is a great start.